Kabul: India on Sunday said it was completely committed to the economic reconstruction of Afghanistan. Also, it promotes an all-inclusive “Afghan-led, Afghan-owned and Afghan-controlled” peace and reconciliation process in the war-torn country. India’s position was stressed by Union External Affairs Minister Sushma Swaraj. She is at Afghanistan to attend the historic India-Central Asia Dialogue. “I would like to specifically point out that our region is facing serious challenges posed by terrorism. India, Central Asia and Afghanistan are societies which are tolerant and plural. The ideology of hate which the terrorists would like to spread has no place in our societies,” Swaraj said while addressing the first session of the dialogue as reported by PTI. “We also need to ask that who these terrorists are, who funds them, how do they find sustenance, who protects and sponsors them,” she said and as reported by PTI. “No business development, no investment can take place in a country suffering from terrorism. To promote business development in our region, we agreed to fight the scourge of terrorism together,” Swaraj said, adding that terrorism seriously erodes all avenues of development which a country can have. US President Donald Trump had previously attacked India and alleged that India is not making real development in the war-torn country. He said that all India boasted of was making a ‘library’. Quashing Trump’s allegation Swaraj also discussed the joint efforts of India, Iran and Afghanistan that have led to the development of the Chabahar port in Iran as a viable route to connect to Afghanistan and potentially to Central Asia. Swaraj arrived in the ancient city of Samarkand on Saturday on a two-day visit to attend the first-ever India-Central Asia Dialogue. 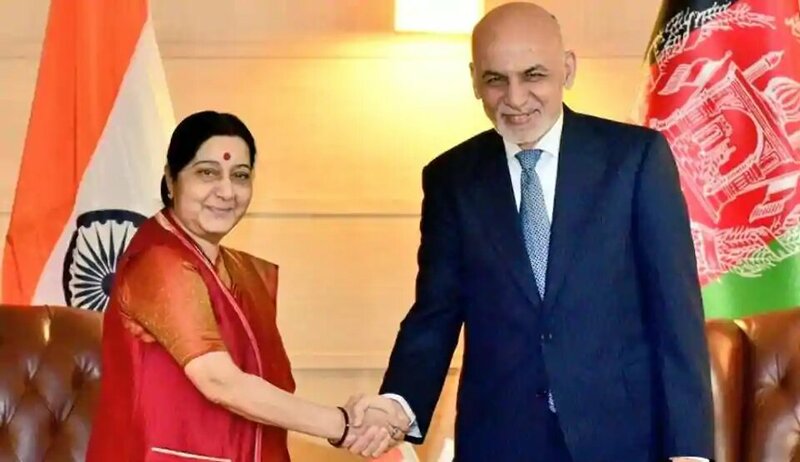 India will host the next India-Central Asia Dialogue with the participation of Afghanistan at the foreign ministers’ level in 2020.